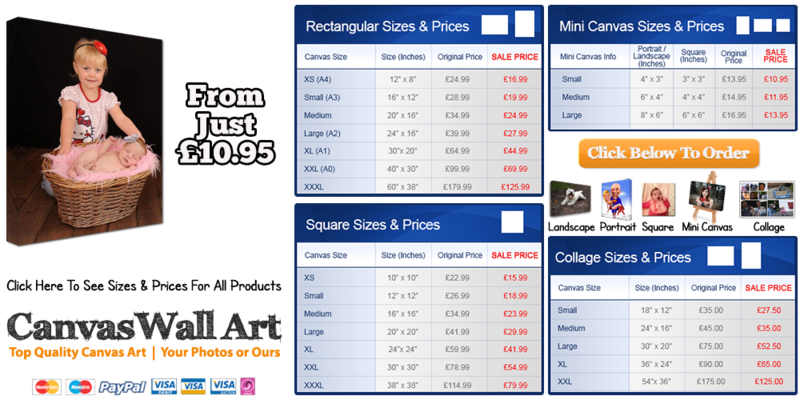 Why Order Your Canvas Prints From Us? At CanvasWallArt.uk we take great care of your canvas print at every stage of the process. We are a rapidly expanding family ran business and our processes have all been built around our own high expectations – everything that we do is done the way we would expect if we were buying a canvas print from somewhere else! Worldwide Shipping – We ship all of our canvas prints anywhere in the world! We use 60″ wide high resolution HP printers with genuine inks. Our canvas is bright white matte, perfect for landscapes/portraits and we use specialist high quality stretcher bars with wedges (essential!!). We aim to make and ship all canvas prints within 48hrs and we offer either standard (2 to 3 days) or priority shipping (next day). We can prioritise orders – if required, please get in touch and we’ll do our best! Preserving your memories for a lifetime! As we use the finest materials in the production of our canvas products we are confident enough to be able to offer you a lifetime guarantee on all our products. All canvas prints are produced at our Melton Mowbray based facility. Everything is done on site, and we also have a studio/gallery and you are welcome to come and see some samples prior to ordering!